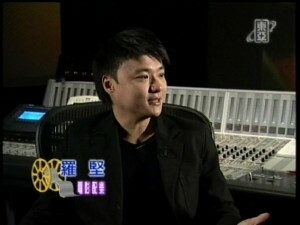 Hong Kong-born composer Lincoln Lo is recognized as one of the Hong Kong’s most versatile & innovative musical talents. Early in 1986, at his age of eight, Lincoln began his junior music studies at the Hong Kong Academy for Performing Arts ( HKAPA ). Major in piano, he was taught by the renown pianist, Prof. Ms. Eleanor WONG. At his age of ten, Lincoln won both “The Hong Kong Junior Exhibitioner Award” and “The Tom Lee Challenger Award” at the 41st Hong Kong Music School Festival. Being a gifted child, Lincoln also performed in a lot of acting & singing , including McDonald’s TVC & Hong Kong Basic Law’s TVC. In late 1989, Lincoln was sent to Lyon, France by his parents, to further his studies in classical music. He entered the Conservatoire National de Région de Musique de Lyon where he learnt his major instrument piano with Prof. Mr. André CHOMETON. Lincoln became the mascot of the conservatory within a short period of time and was even acknowledged as “Prodigy” & “Young Mozart” by Lyon Matin in his Europe concert tours. In 1990, Lincoln had the honor to represent France and go to Italy, Switzerland & other European countries performing in the “Mozart 200th anniversary Concerts”. In March 1991, Lincoln, accompanied by the Lyon Youth Orchestra in a concert tour to Romania & other European countries. He performed a concerto for 2 pianos of J.S.Bach as the 1st pianist. With his brilliant performance, Lincoln was granted the distinguished certificate ( Degre fin d’etudes: Certificat Diplôme mention trés bien ). He graduated from the Conservatoire National de Région de Musique de Lyon in June 1991 and furthered his studies in the superior degree. Five months later, he entered a big Piano Sonata Contest organized by Rhône-Alpes, France. His outstanding performance made him the winner of the “Special prize for his interpretation in piano”. 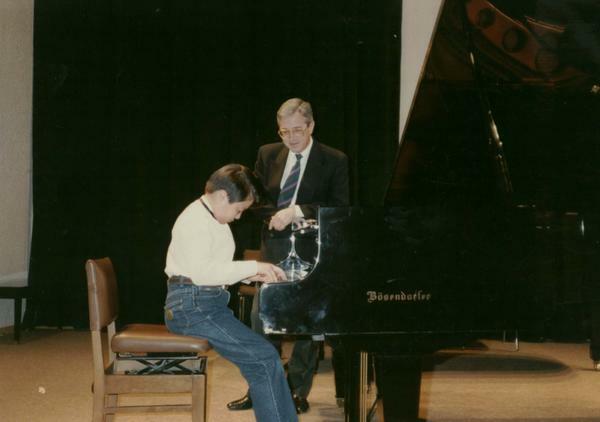 Lincoln accomplished his superior degree studies in June 1992 and was awarded the No.1 Gold Medal for piano interpretation praised by all jury (Degré Supérieur: Médaille d’or à l’unanimité avec felicitations du jury). Being one of the very few who attained outstanding achievement in the 1st year of superior degree study, Lincoln was granted a special scholarship by the Board of the Conservatory. With his classical music background and accomplishment, Lincoln had a cherished hope of devoting himself wholeheartedly into the pop music creation work. He resolutely gave up his prosperous future in being a respectable classical pianist and went back to Hong Kong contributing himself to the music business in late 1994. Lincoln started learning film scoring & MIDI music production as well as Chinese folk music melodies & Chinese traditional instruments arrangement with his mentor, Mr. William WU, a prominent film music composer. Lincoln’s profound classical music foundation and achievements facilitated his collaboration with his mentor. In just few films, his name was firstly listed with and by Wu in films titled “Ten brothers” and “Hero”. Later WU recommended Lincoln joining a song writing competition organized by Radio Television Hong Kong (RTHK) & Warner Music. With the song “Who Knows?”, for which he wrote the song ,lyrics and did the arrangement, Lincoln was awarded “The Best Song”, “The Best Lyrics” & “The Most Popular Song”. Lincoln was discovered by Tony Chiu, an artiste manager, after the competition and became a singer song-writer of Nice Track Records Ltd. in 1995. In only 2 months, Lincoln, the youngest producer and singer song-writer at that moment in the industry, finished producing his 1st CD-album. It was finally published after a year at his age of 17. But the world of “Music Production” & the world of “Film Music” were where Lincoln wanted to be. 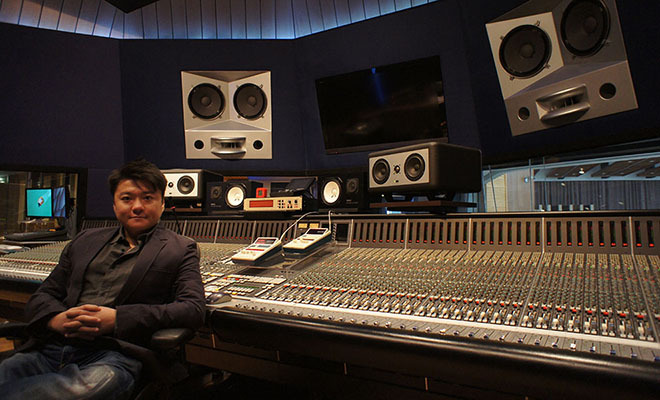 A significant step in film scoring came in 1996 when Lincoln was asked to score “Feel 100%” by Manfred WONG, a well-known Hong Kong Film producer. Not only prized by film companies and directors, this first movie also brought him a talented director, a best friend and a good working partner, Joe MA. Shortly in a year, Lincoln rose quickly to fame and became the music director of one of the most favorite TV-series of TVB (Television Broadcasts Limited), “Old Time Buddy”. 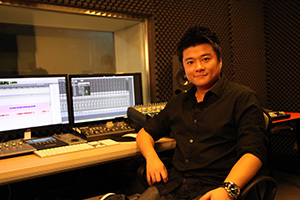 He composed the original soundtrack (OST), selling over Triple Platinum (IFPI) sales in local market, which made him “the youngest platinum music producer” in Hong Kong. 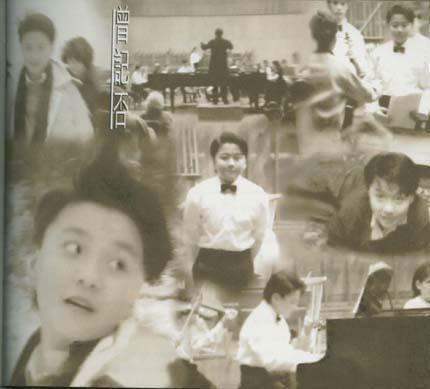 The theme song even brought him the “Best Music Arranger Award” at Hong Kong TVB’s Music Award Ceremony, JSG 1997. 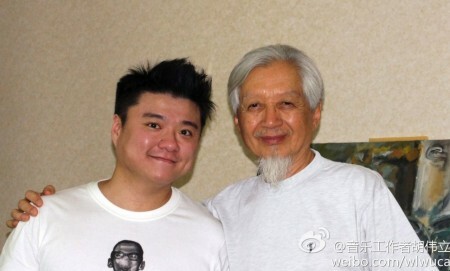 In his career, Lincoln had the great honor to be invited by Roman Tam, the pop music tycoon, writing a theme song “Thousands of grateful words” for the concert celebrating Roman Tam’s 25th anniversary performing life. From then onwards, Lincoln was appointed as Roman’s sole music composer & producer. 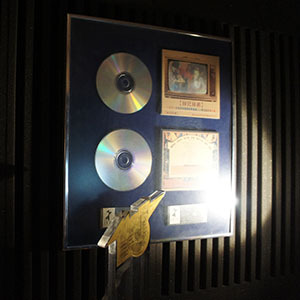 In June 1997, Lincoln started up his business and established Legend Music Production Ltd. in Hong Kong. 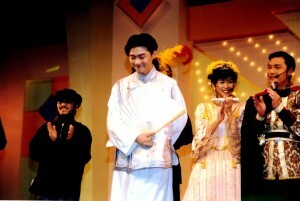 In February 1998, Lincoln acted as the music director, composer & arranger for the “Lunar Chinese New Year musical play of Old Time Buddy” and to no surprise, the guest performer. In the same year, Lincoln took the chance promoting his music to local tertiary students. He accepted the invitation of “Dance Square”, a Joint-University dance society, to be the music director for a Hip Hop & Jazz dance drama “Lost Era” with over 100 dancers participated on stage. In 2002, Lincoln further expanded his music business to the Mainland. He was cordially invited by China Central Television (CCTV) to be the music director for the China’s 1st Musical TV-drama series “Shui-Guo-Gu-Nian” and pioneered his collaboration with Asian Philharmonic Orchestra in Beijing. Lincoln again proved his efficiency in work by composing, arranging, scoring, producing and recording over 60 songs in less than 10 weeks. To express his sadness and concern to the tragedy in Sichuan earthquake, Lincoln, with no hesitation, accepted the invitation of the HKTVA (Hong Kong Televisions Association) to write a charity song in June 2008. Over 60 artists participated in the song “Don’t Cry Sichuan”. In September 2008, Lincoln scored his biggest music production for the film “Champions” with over 120-pieces orchestra & choir recorded in Beijing. The OST of “Champions” was published in December 2008. In 2009, Lincoln was appointed by Hong Kong Buddhists & Taoists Institute to be their Music Director, Composer & Arranger for the “Global songs of Tao Teh Ching Vol.1”Dolby 5.1 Surround sound DVD which he combined the western and Chinese style of music and ways of singing. In April 2011, Lincoln was cordially invited by Chengdu TV judging the renowned singing competition “Super Girl”. He was the first maestro from Hong Kong sitting on the panel. 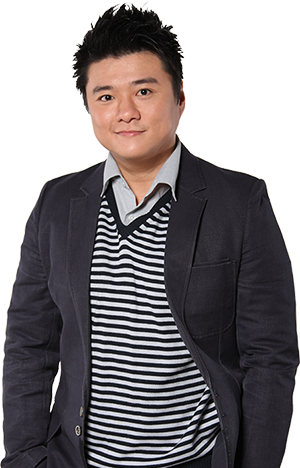 In September 2013, he set up Centurion Professional Education Services Ltd. to fulfill his dream and mission. In February 2014, Lincoln has been invited by Singapore Chinese Orchestra to be the composer for the concert of Huayi Chinese Festival of Arts 2014 in Singapore. He will be, for the first time, collaborating with the famous conductor Mr. Tsung Yeh and composer Mr. Law Wei Lun, along with the Singapore Chinese Orchestra to perform a 80 minutes non-stop masterpiece specially composed & arranged by Mr. Lincoln Lo & Mr. Law Wei Lun, and visually synchronized with the silent movie “The Goddess”. August 2014, he was invited as Music Director for the concert of “ Tsui Siu Ming Concert 2014”. 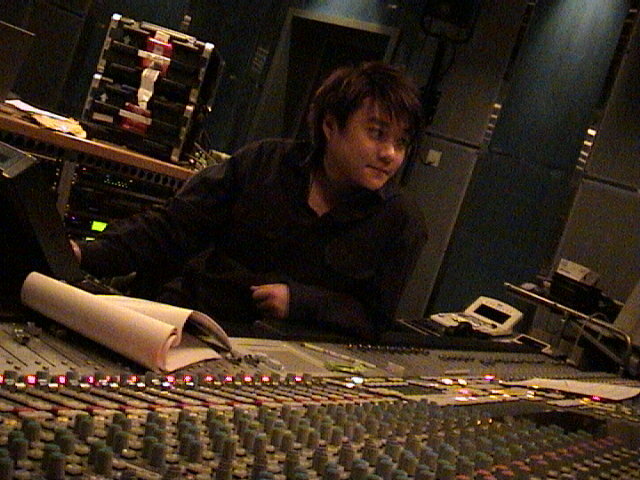 He created a multi-styled music combination for the concert, including the Chinese Traditional, Western Classic, Pop, Electronic and Cantonese music elements. October 2014, he was invited to join the Grand Opening for the Guinness Amplify Function and was awarded the Prize with other musicians who are so brave to be unusual, to praise their long-term contribution to the original music creation work in Hong Kong. November 2015, Lincoln Lo was cordially invited to attend the “Say NO to Drugs” Charity Music Video Conference and Awards Ceremony. 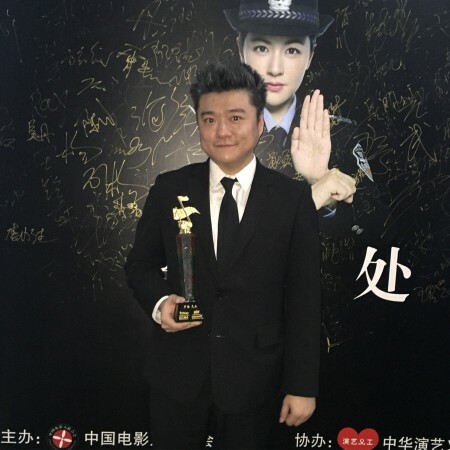 He was awarded the ” Charity & Culture Envoy” by Ministry of Culture of the People’s Republic of China and China Culture and Entertainment Industry Associations. In February 2016, Lincoln Lo was invited again by Singapore Chinese Orchestra to compose for the Huayi Festival of Arts. 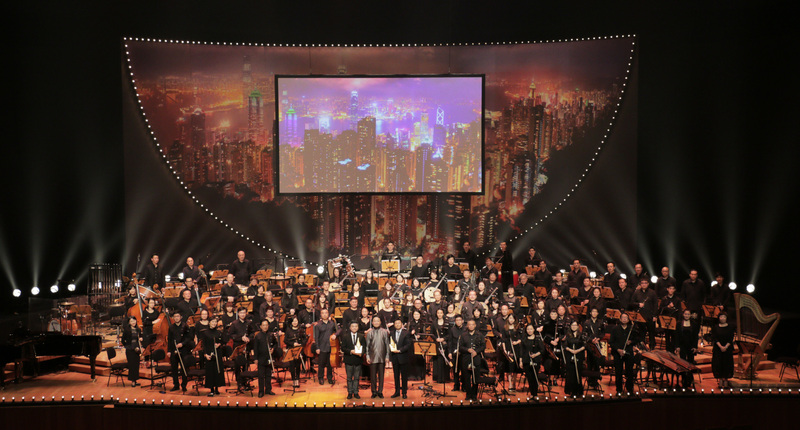 This is the second time since Feb 2014, Lincoln Lo collaborated with the Singapore Chinese Orchestra, famous conductor Mr. Tsung Yeh and famous composer Mr. Law Wai Lun. This time Lincoln Lo will compose a brand new music for the “Journey to the West” from “The Four Great Classical Novels”. The Concert will be performed at Singapore Esplanade Concert Hall on 20 February 2016. October 2016, “The Goddess” composed by Mr. Law Wai Lun and Mr. Lincoln Lo has been nominated for “The Best Serious Music” of Golden Sail Music Awards 2016. November 2016, “The Goddess” is awarded “The Best Serious Music” of Golden Sail Music Award 2016. Successful end to the full house 2017 Singapore Huayi Festival Concert with thunders round of applause from the audiences. 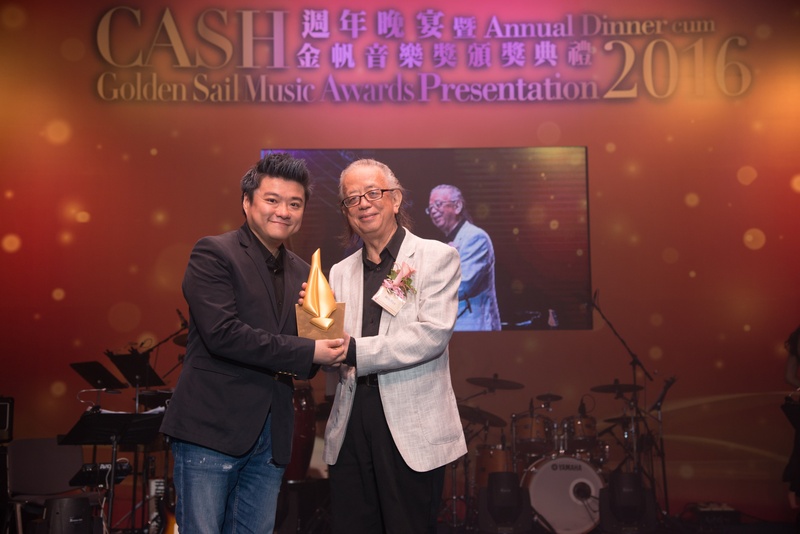 Mr Lincoln LO, was again invited for third time in 2017 by Singapore to compose “One-Armed Swordsman Symphonic Ballade” for the 2017 Singapore Huayi Festival Concert, after the very successful concert in 2014 Huayi Festival in which he composed “The Goddess” with Mr. Law Wai Lun and was awarded “The Best Serious Music” in The Golden Sail Music Award 2016. August 2017, Mr Lincoln LO is cordially invited to be one of the composers of the HK International Drummer Festival 2017 which will be held from 2 August to 15 August 2017. Gorgeous music programs featuring “when east meets west” will be performed by world known musician from different places. At the end of 2018, one of the song that Mr. Lincoln LO has composed, arranged and produced has been awarded the 10 best songs of the 2018 Chinese Music Awards. Since his debut in the industry in 1996, Lincoln has scored, composed, arranged or produced music for at least over 250 Films, 30 TV-drama series and over 200 TVCs. His unique classical music background and innovative creativity make him an all-rounder in music production industry. Copyright (C) 1997 - 2019 Lincoln Lo Official Website.